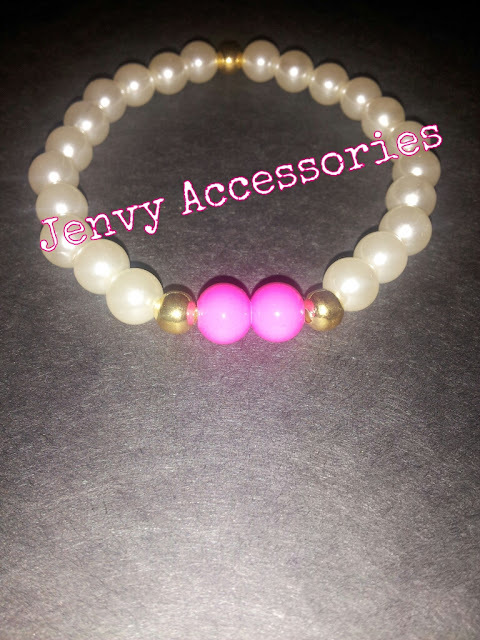 This lovely faux pearl bracelet has a little hint of pink. This is a simple bracelet to dress up any simple outfit. Ask about matching earrings and a matching necklace. This beautiful bracelet can be yours for only $10.